In what comes as a major technological advancement in the law domain, the Ministry of Law and Justice has launched a ‘Tele Law’ portal. The online system envisages making legal aid easily accessible to the marginalised communities and classes dwelling in rural India. 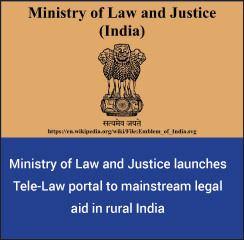 The portal maintained by the law ministry will connect rural India to legal service providers with the help of technology-based platforms. Further, the ‘Tele-law’ portal will enable people to seek legal advice from experts through video-conferencing at various Common Service Centres (CSC). 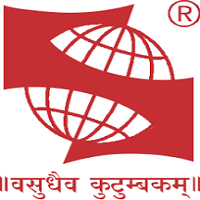 The online legal aid system will also help in opening career avenues. Under this online system, every CSC will recruit a Para Legal Volunteer (PLV), who will be the first point of contact for the rural citizens. The PLV will listen to their legal issues and further help them with the legal solutions. The PLV will help legal-aid seekers understanding the advice given by lawyers and assist in further action required in cases as per the advice of the lawyer. Further, women PLVs will also be encouraged and trained under this scheme. “I am extremely happy to have launched this online legal aid for poor which will be made available through the Common Services Centres. Tele-Law will fulfil our commitment to ensure access to justice and empowerment of the poor. The CSCs and Para Legal Volunteers will offer easy legal advice to litigants in rural India making them digitally and financially inclusive,” said the Minister for Electronics, IT, Law and Justice, Ravi Shankar Prasad, while launching Tele-Law. The Ministry of Law and Justice has partnered with the Ministry of Electronics and Information Technology (MeitY) to provide legal aid services through its CSCs at panchayat level, spread across the country. In its first phase, the ‘Tele-Law’ scheme will be run as a pilot test across 500 CSCs in Uttar Pradesh and Bihar to understand the challenges. This will help in bringing necessary corrections to the scheme before it is scaled up and rolled out across the country in a phased manner. A trained PLV will be available in a CSC for ten days in a month. These PLVs will help the applicant connect with the lawyer through a video-conference facility available at the CSC. The PLV will also be responsible for tracking of the applicant’s case progress and maintaining a record of the same. They will have to submit a report to the District Legal Service Authority every week. The National Legal Service Authority (NALSA) will provide a panel of lawyers who will be available in the respective State capitals and address the legal issues of the rural people through video conferencing. This online portal has come up as a continuation to the Access to Justice Project for Marginalized Persons which is being implemented by Department of Justice and United Nation Development Programme (UNDP). The Access to Justice Project partnered with CSC-E-governance Services India Limited focuses on mainstreaming legal literacy through common service centres in Jharkhand and Rajasthan.